Over the weekend I pulled out one of my trusty little idea notebooks, and began flipping through the pages. I have way too many notebooks/journals, and sometimes I wonder why I even keep them. But then, I run across a quote like today's in one of those little books, and I'm very grateful I have all (50 plus) of them! 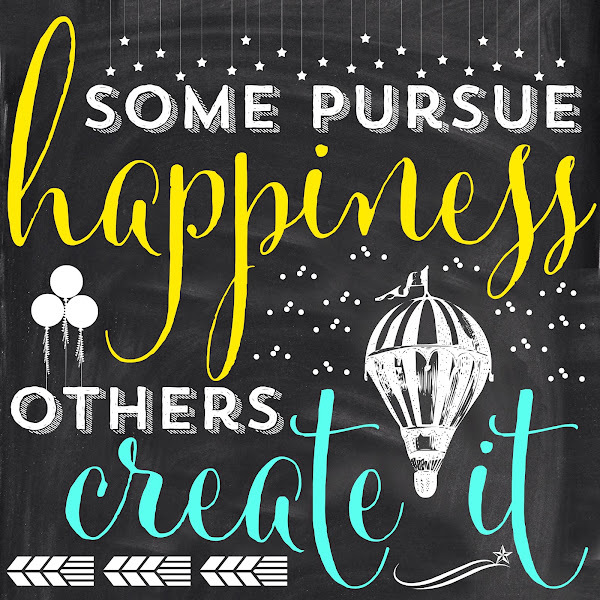 I did a happiness printable last year that came from a book I'd read at my parent's house. I found three or four pages full of quotes I'd written down from that one book. I'm a true believer in happiness. I believe it's one of the reasons we're here on this earth- to have joy/happiness. Do you think of creating happiness just as you'd create a piece of artwork, a three-tiered cake, a musical masterpiece, or a colorful flower garden? Maybe those are the things that help you create your happiness. It's easy to allow the worries, heartaches, and demands of life to cause us anything but happiness. But I'm a complete believer in our ability to create happiness. Think about what makes you and your family happy, and then do those things, surround yourself with those things each and every day, and happiness will be created. help me create my happiness. Happiness that isn't quite as fleeting as the season's newest shirt in the store window. 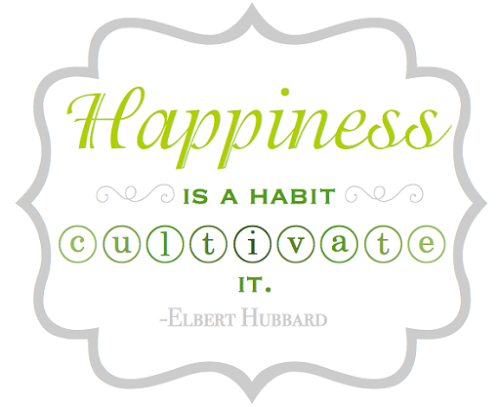 What kind of things do you do to create your own happiness? Here's my happiness printable from last year. Another favorite, with very similar meaning. Unfortunatley, allowing you to print this printable designed by Rhonna's App is in violation of the EULA. You can use my image as a guide to create your own. Sorry! Your post is always fascinating. Thanks for sharing the nice post.